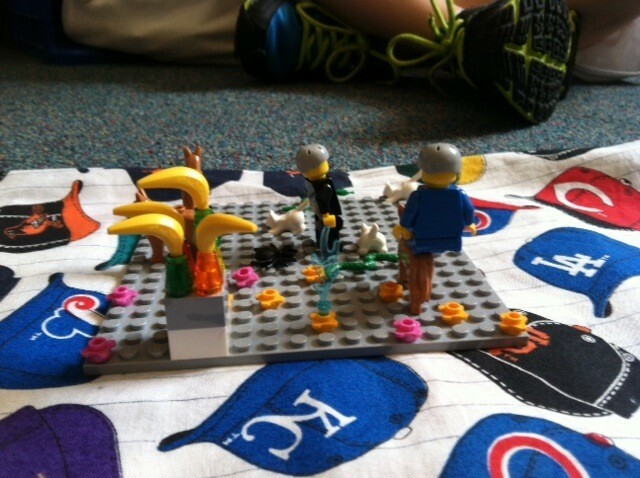 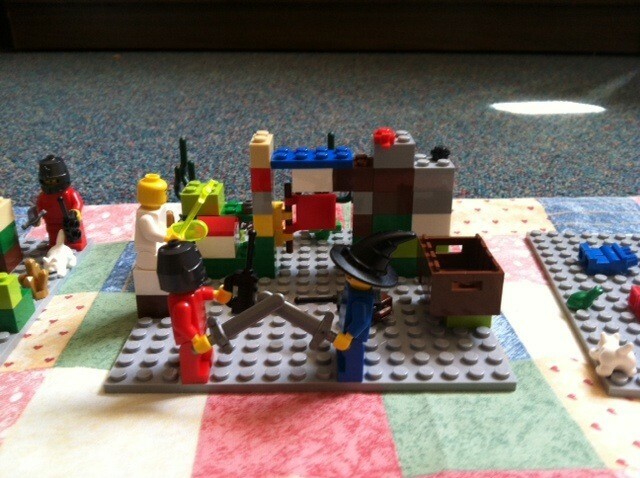 Each grade created their own scenes selecting various LEGO pieces. 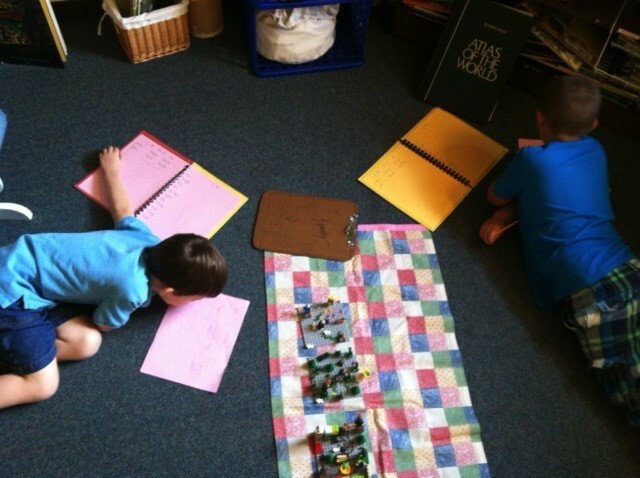 Working together they wrote a story based on their creation. 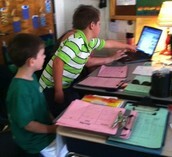 Josh and Landan writing about the Fire Knights in the castle. 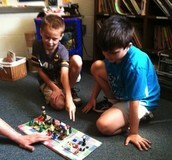 Dylan and Jeffrey retelling the story. 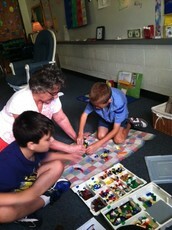 Landan adding the last piece to scene two. 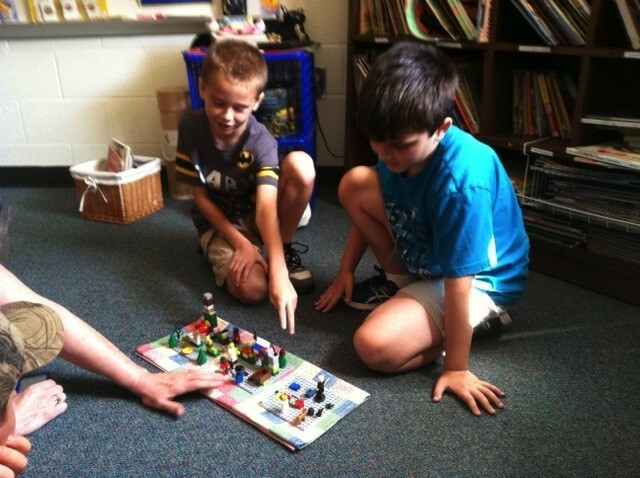 Jeffrey and Dylan worked to create the battle and made sure their descriptions in writing matched each scene. 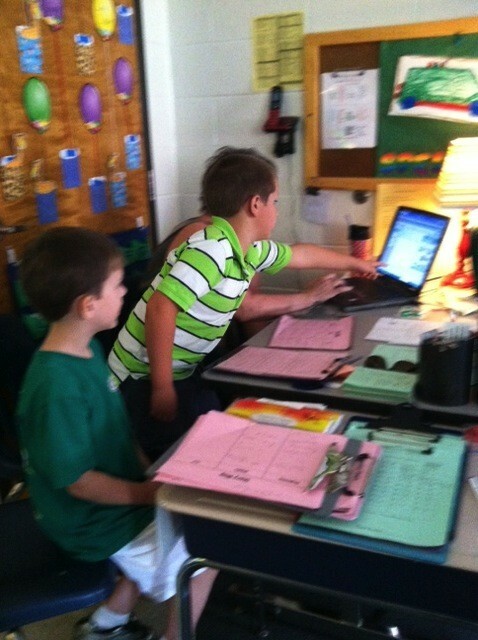 Through editing and revising each group published a story on the computer. 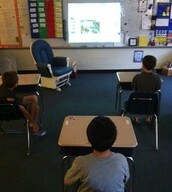 Each grade presented their published work. The students can't wait to create and write again! 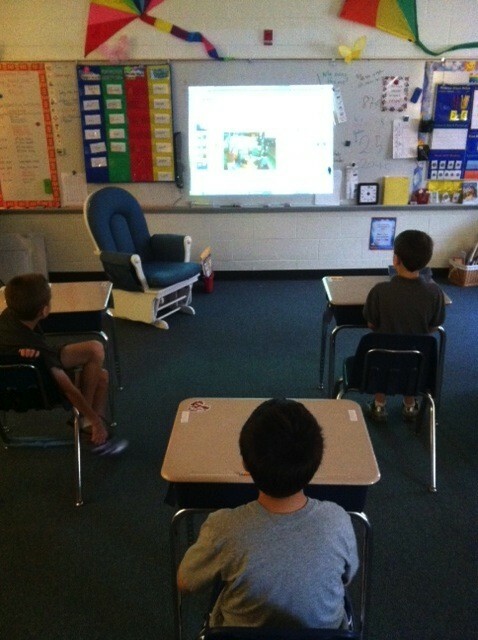 They are published authors!